This one has been doing the rounds for a while, and with Stoke’s relegation now confirmed, a bunch of their current first team squad will leave as always happens when relegated sides rebuild for the new season a lower down. 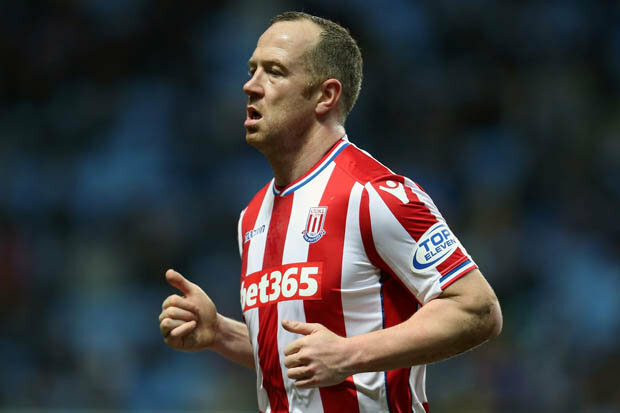 One Stoke midfielder who has been linked with Rangers for a while and would be a free agent come the summer is ex-Ibrox engine room man Charlie Adam. The story has been going on for some time of course, but with the installation of Steven Gerrard as Rangers boss, it suddenly has a few legs. Gerrard and Adam were of course team mates at Anfield with the latter making a very healthy 37 appearances alongside the Liverpool legend, and indeed Gerrard thought so highly of him on his arrival he genuinely feared losing his place to the Scotland international. That did not happen and they played together for over a year, and a Scotland international with tonnes of EPL experience and a player Gerrard knows extremely well not to mention an experienced Rangers player himself all in one? "I am never going to rule it out. It is the club I started at. They say 'never go back' but as a former player, it hurts to see Celtic dominating so much. You never know what is around the corner in this game." Quite a change of course from his comments in 2012 where he admitted he ‘didn’t care’ about the fortunes of his old club outwith his own brother’s fate. Nevertheless, footballers are fickle and often say very stupid things. Whether Gerrard feels Adam is the right kind of player for Rangers only time will tell. Pros - can score a decent free kick and is willing to take a dig from outside the box. Cons - never been the fastest. Gets caught in possession. Wrong side of 30. Would love to have him back. Genuine quality and can produce a bit of magic. Hopefully the fans don't get on his back like they did when he was with us last time. Gerrard wouldn't look at him with a glass eye! !